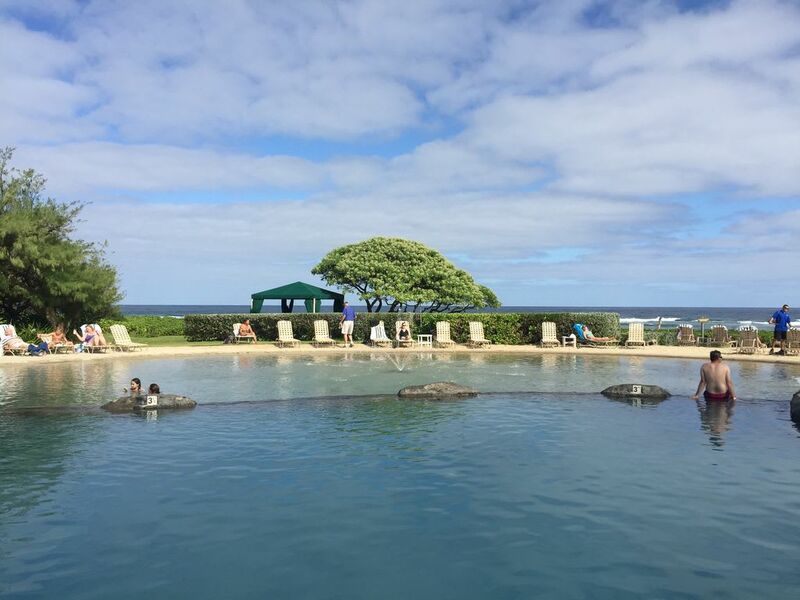 Kauai Beach Resort - a private oasis, true Hawaiian hospitality! 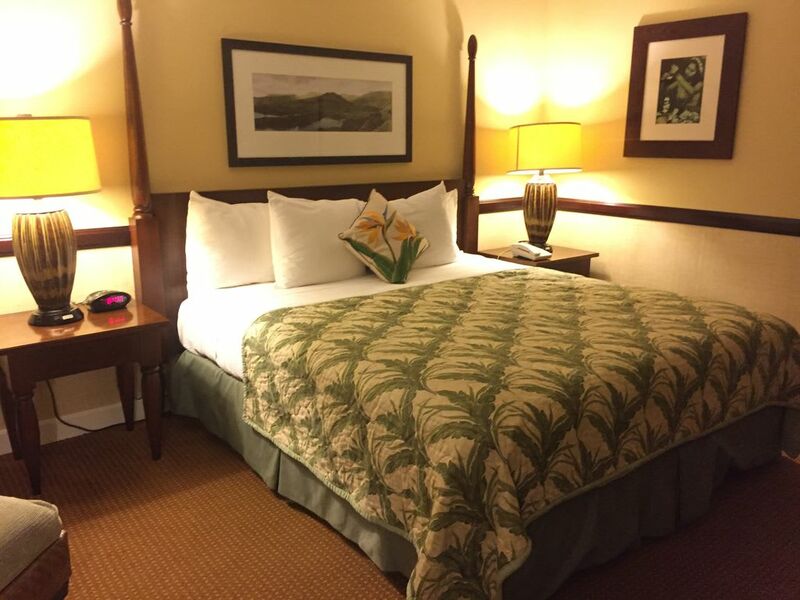 Chaise lounge, King bed, 320 sq ft of Hawaiian style comfort! 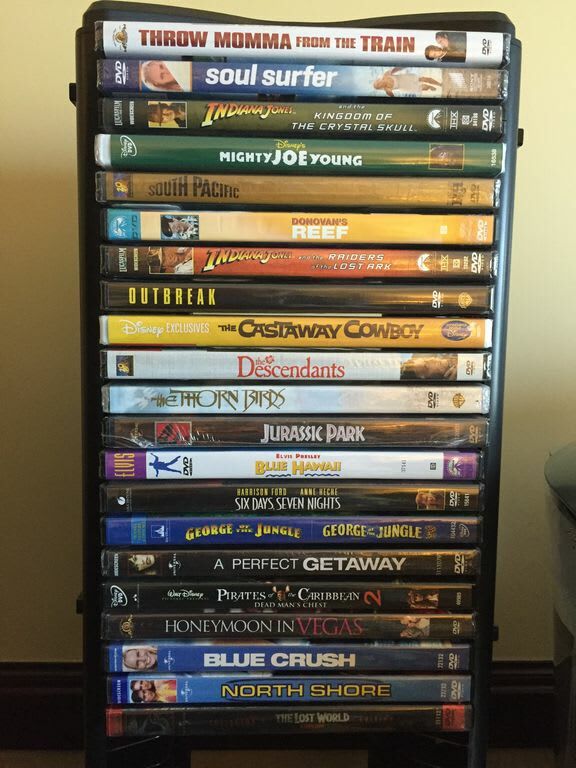 Deluxe privately owned suite "best equipped unit at Kauai Beach Resort"
21 DVD's for your viewing pleasure, all filmed on Kauai! Secluded white sand beach, distant views of Sleeping Giant and King Kong. Kayak up Wailua River & hike to Secret Falls Short drive Wailua Kayak Adventures, it's called "hiyaking"!! 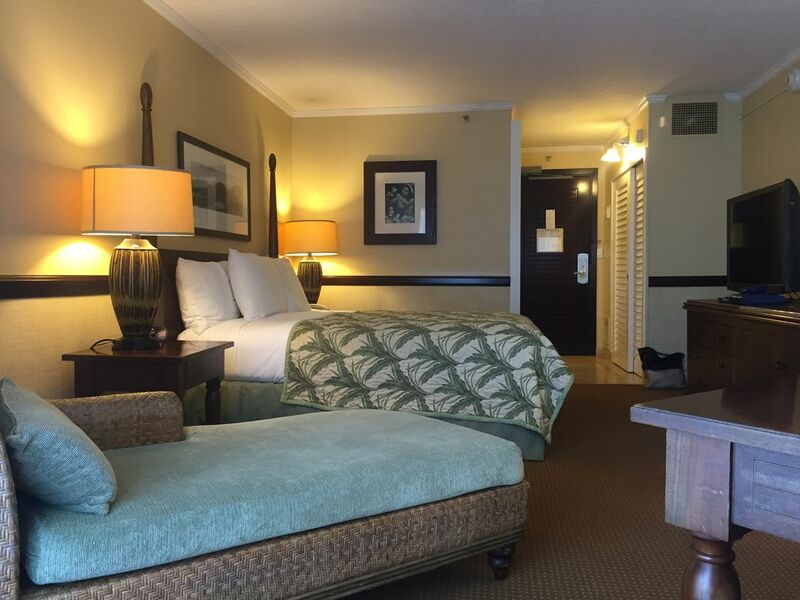 Welcome to my Resort Room on Kauai! $150+/night BELOW retail value if booked with me instead of directly with the Resort!. One review headline: "BEST LOCATION and EQUIPPED UNIT at KBR". My PLACE is a DELUXE privately owned 320 sq ft RESORT ROOM, ground level, KINGBED, private above ground lanai with OCEAN/POOL VIEWS, just steps from beach, pools, jacuzzis, pool side bar, towel hut, located at beautiful Kauai Beach Resort, a 4 Star Boutique Resort, (originally a Hyatt), amenities include 4 pools, 2 jacuzzis, water slide, spa, restaurant, 24/7 fitness center, secluded beach, sleeps 2, 10mins/6 miles from Lihue airport, central location for island exploring! Spectacular sunrises & full moon rises! I recommend renting a car to explore the island. Please message me re: car rental options. 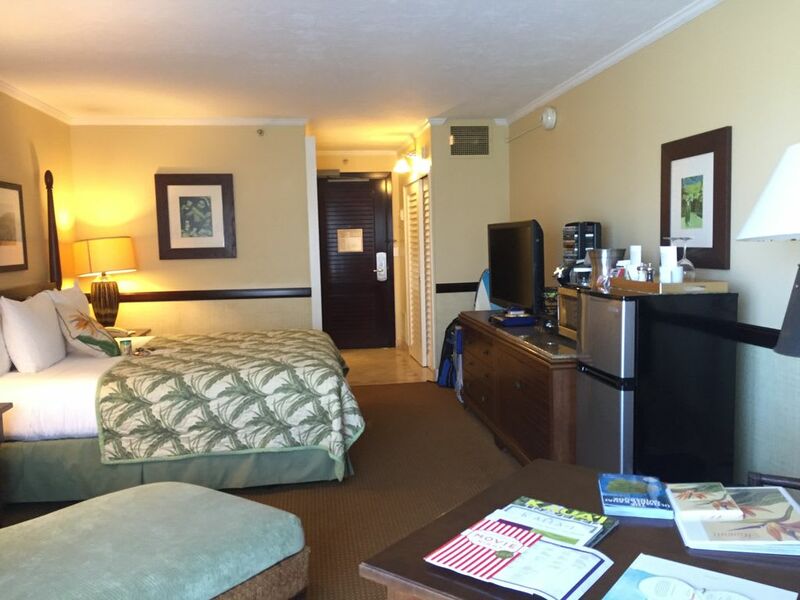 PRICE includes complimentary prepaid RESORT PASS ($100) and PARKING PASS ($25/day savings! 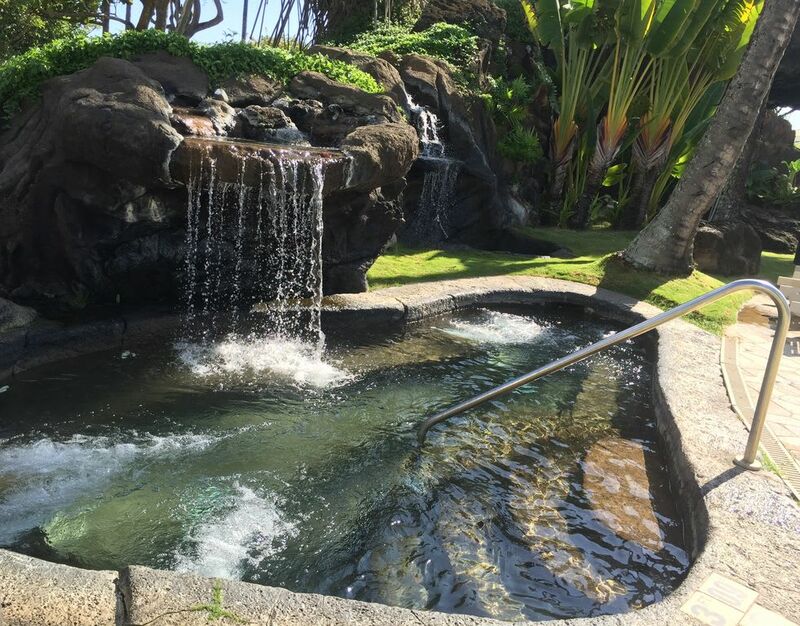 ), includes access to all the facilities except not Cultural activities like, lei making class and hula lessons. 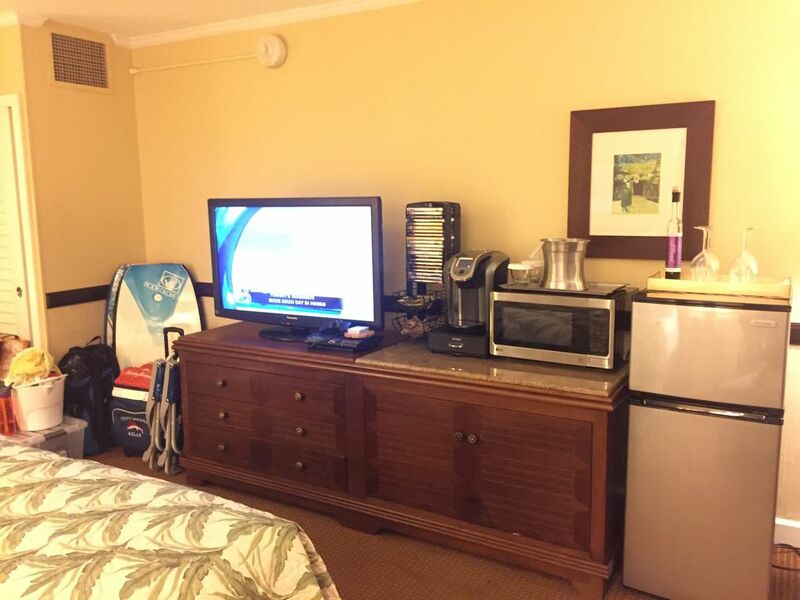 This is a unique situation, you are renting a privately owned DELUXE hotel room (larger fridge, microwave, Keurig coffee maker, kettle, dishes, wine glasses, boogie boards, snorkel gear, hiking poles, yoga mats, picnic cooler, beach umbrella, beach chairs, selfie stick) in a 4 star Boutique Hawaiian Resort. Simple Check in process - present your confirmation number or last name or ID at the Front Desk (Confirmation number sent to you 1 week prior to your arrival, along with parking map & directions). I have prepaid your $100 Resort Fee. You will be issued a room key and a towel key (1 per person). Daily, multiple times, you can exchange towels at the Pool Hut, conveniently located outside your room. Pool Hut is open 9am to 5pm. After hours, towels are available at the Front Desk Lobby. Please remember to return this card upon check out or you will be charged $20. 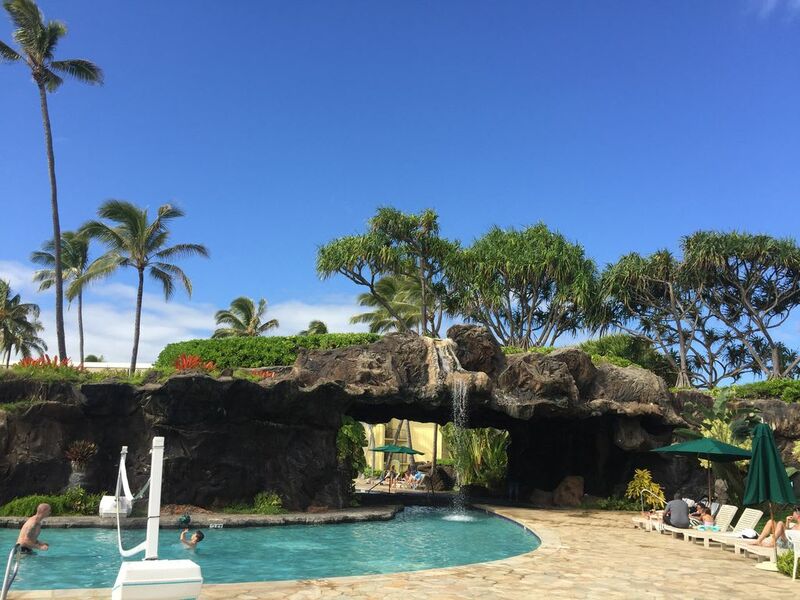 The Kauai Beach Resort Front desk check in clerk will also take your credit card number & a deposit that is fully refunded upon check out, if you didn't incur any additional services from the resort, like for example breakfast delivered to your room. I will provide a complimentary mid-stay clean, if your stay is 8 days or longer. I provide garbage bags & directions to the location of the waste receptacle for your convenience. Hotel maids will not be making your bed or swapping out towels on a daily basis, because you are renting a privately owned hotel room. In room WIFI is complimentary! Free WiFi is also available poolside & in the lobby. To access you will just need to enter your last name & room number (4102). Fitness center on property, use included in resort fee, use your room key to enter the facility, open 24/7. Please no smoking in the room. There are designated smoking areas located around the resort. There is a coin-laundromat on property in Building #1.$2.75/wash load & $2.50/60 mins dryer. 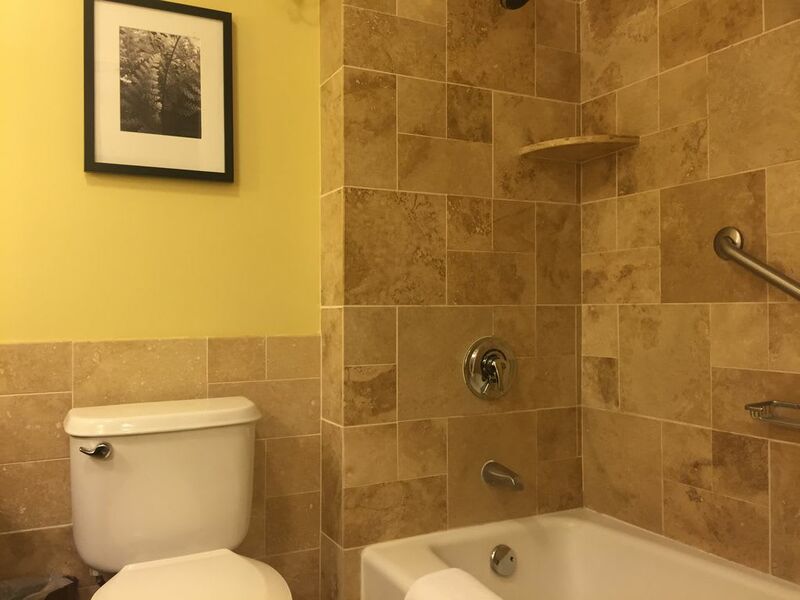 Under the bathroom sink, you will find complimentary laundry detergent for your use. There is an outdoor shower conveniently located near the beach/the sand pool/very close to building# 4 , Thank you for rinsing off the sand/red dirt before returning to your room. 2 more showers located by the far side jacuzzi & pool hut. Please note: the red dirt permanently stains!! I recommend you bring an older pair of hiking shoes for exploring the many trails on island. 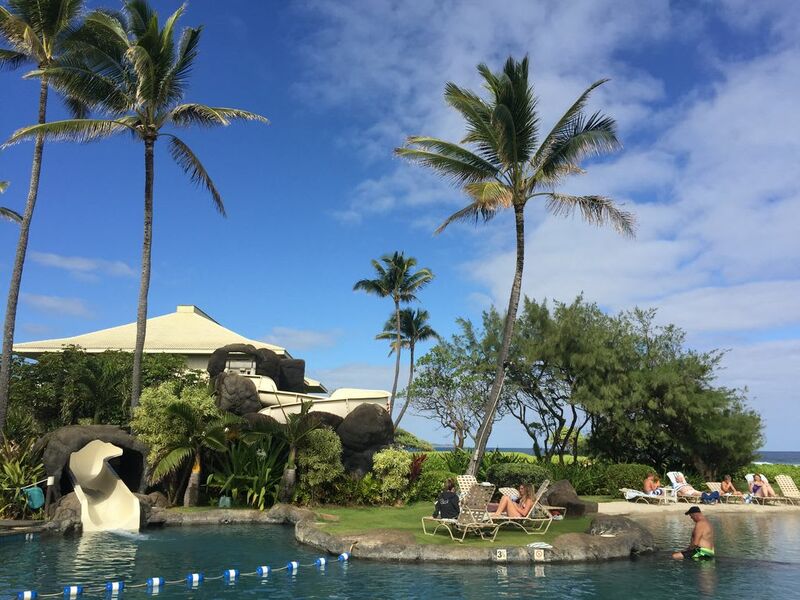 Hawaii State Tax of 14.25% is added to your daily rate , collected by VRBO. About a week prior to your arrival, I will send you a hotel confirmation number to present to hotel front desk upon check in. I also send maps directing you to your complimentary parking. You actually park closer in the Villas lot than you would if you paid $25/day and parked in the Resort parking lot. Check in time is 2pm. Check out time is 11am. Some flexibility is possible. PLEASE notify me of your arrival and departure times if desiring early check in or late checkout. I do my very best to accommodate all requests, COMPLIMENTARY - NO EXTRA CHARGE! 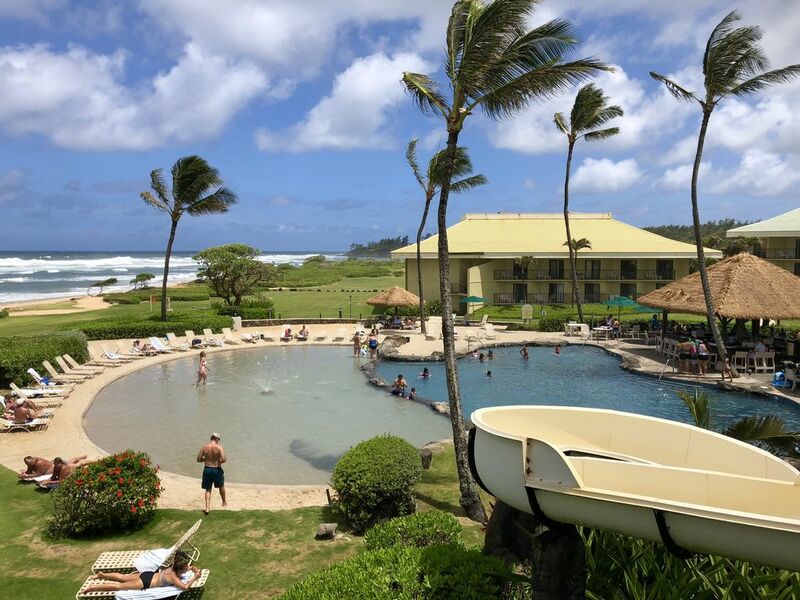 My "RESORT ROOM" is located at beautiful Kauai Beach Resort, which is centrally located on the east shore of Kauai, about half way between the south & north shores. 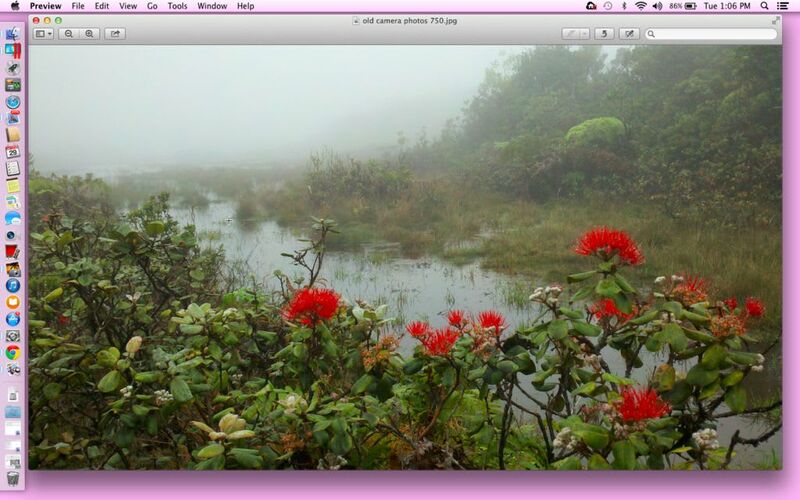 Perfect day trips to Waimea Canyon on the west and Hanalei Bay to the north. 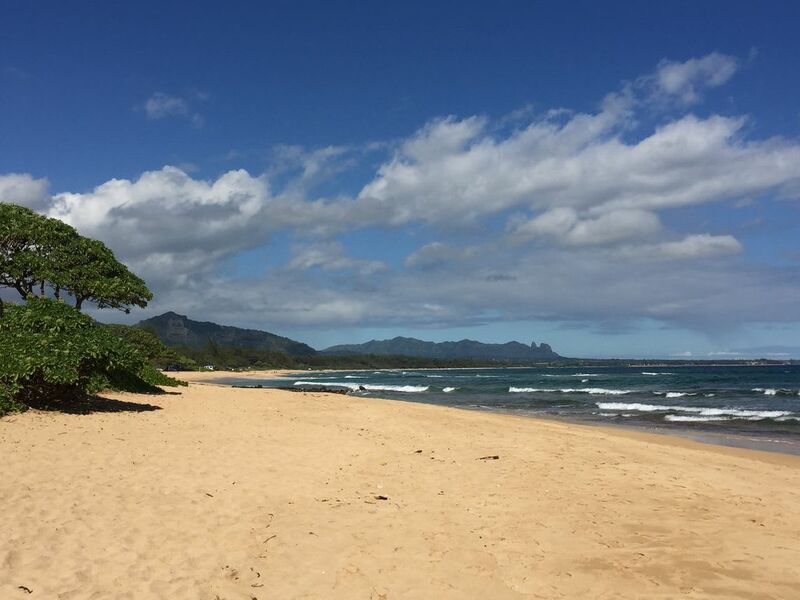 The Resort is located on 25 acres of beachfront property and one of Kauai's longest secluded beaches, Nukolii beach. It's 2 mile beach walk to Lydgate Park with it's natural ocean pool for swimming. I call it "beachfront bliss" - sand between your toes, soothing sound of the waves, basking in sunshine, whales breaching, monk seals resting on the beach, tide pools brimming with sea life, a distant fisherman, local surfers.....a bounty of simple pleasures just steps from your hotel room! Please note even tho you will see locals surfing offshore, this is not a safe swimming beach. Within ten miles there are many great restaurants & local hot spots. 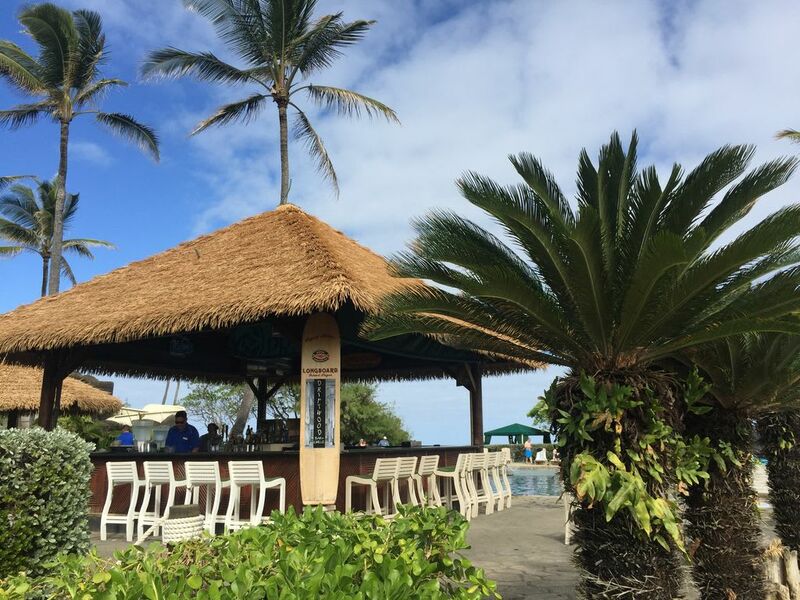 Some of my favorites are Dukes at Kalapaki Bay, Kintaro's, Verdes, Street Burger, Trees Lounge, Lava Lava, Tiki Taco (da best!) 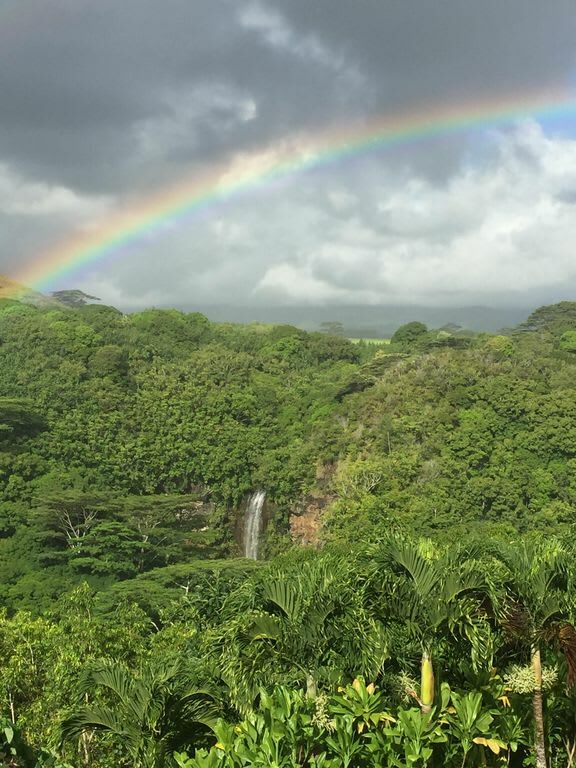 and Olympic Cafe in Kapaa, Hukilau Lanai at Kauai Coast Resort and Street Thai food wagon in the Ace Hardware Parking Lot in Lihue, oh yes and Kauai Beer Company & Pho Kauai on Rice Street, also in Lihue! Further away is the Kaleheho Cafe, (Kaleheho), Da Crack (Poipu) and The Dolphin (Hanalei). Great Breakfasts at the Country Kitchen in Kapaa, 15 min drive. 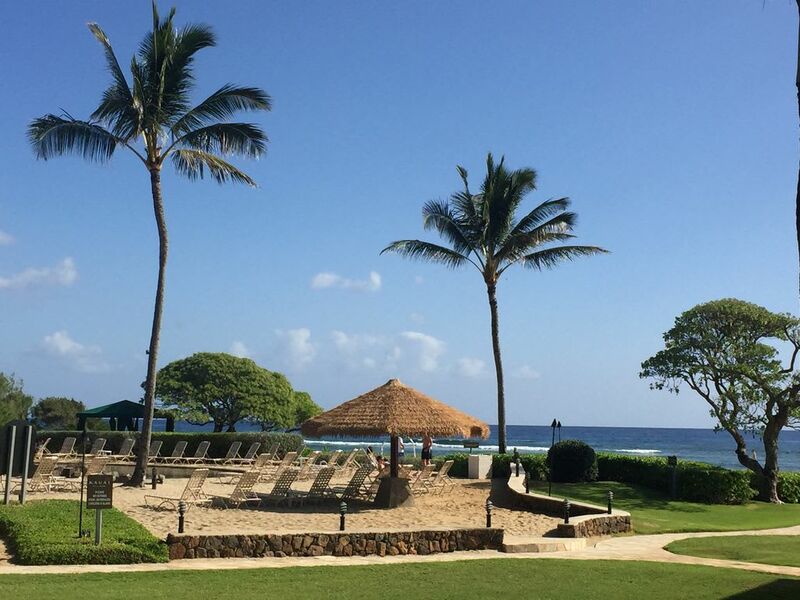 For golfers, the Wailua County Golf Course, rated #3 in Hawaii by The Golf Channel, is just 1.4 miles north of the resort. Farmer's markets, my favorite for fresh local produce, are also in close proximity/10 mile radius, every day of the week except Sunday. 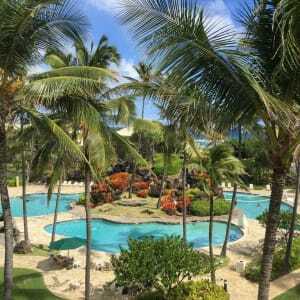 The Resort was built in 1986, originally a Hyatt property and has been well maintained. 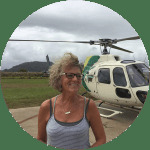 Of great importance; even though Kauai Beach Resort is super close to the Lihue airport, we are NOT located under the flight path of airplanes. 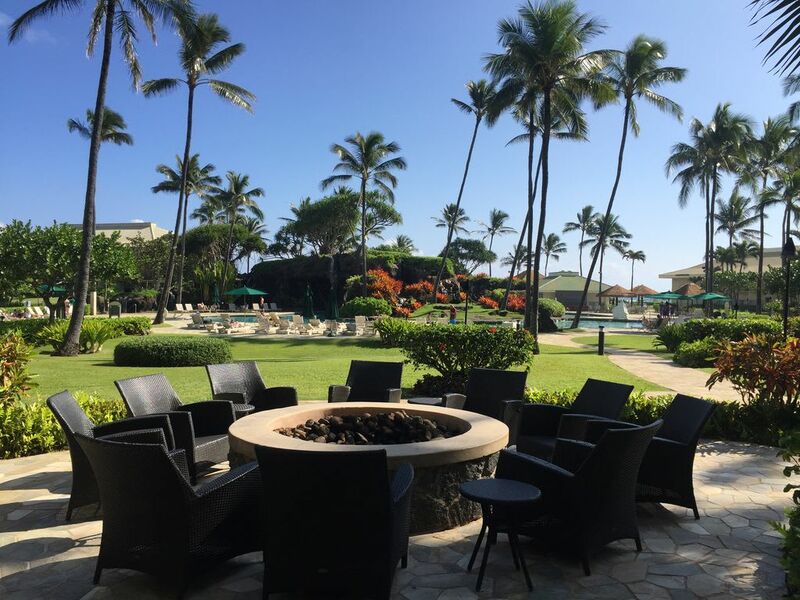 Kauai Beach Resort is close to everything BUT has the feel of a private oasis. I strongly recommend renting a car to explore the island. Please message me for car rental options. Please note that at certain times of the day with the increased traffic flow, it can take a while to turn left onto Kuhio Hwy. I often take a right and drive 2.5 miles to a U-turn/two way lane cross road right before the Wailua River, stay in the left lane to access this side lane for turn around. If you miss it, then take a left at the light just after the Wailua bridge. As you are driving to this turn around option, you will notice across from the golf course, that you could turn left into a community property, if you do so, you may be stopped by one of the ACO's (Adult Correction Officers) as you have driven onto the Kauai Community Correction Center (aka jail) property! I suggest driving just a bit further to make your turn around! Kathy's place is marvelous and magnificent is so many ways. 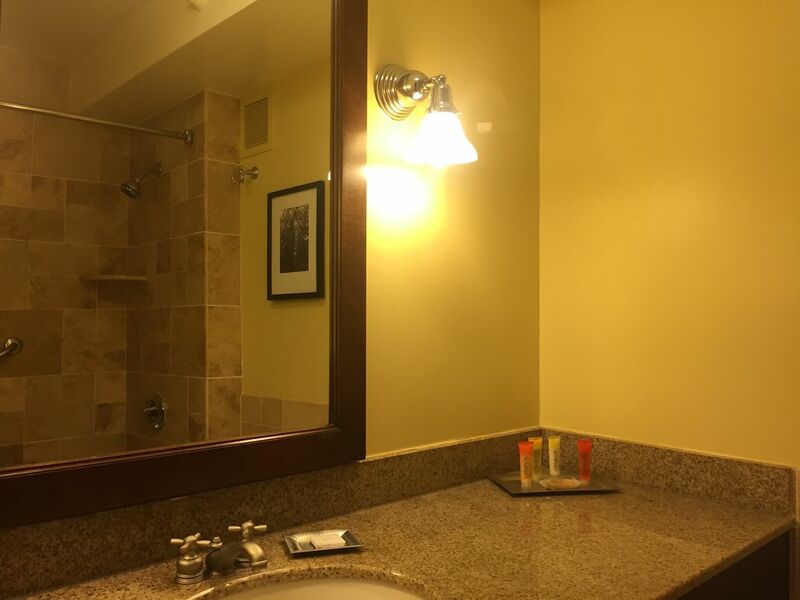 The accommodations are exactly as she has described in her listing profile, but I was still wonderfully surprised at how great the entire experience was when I stayed for a weekend in January 2016. The room is spacious, warm & inviting. 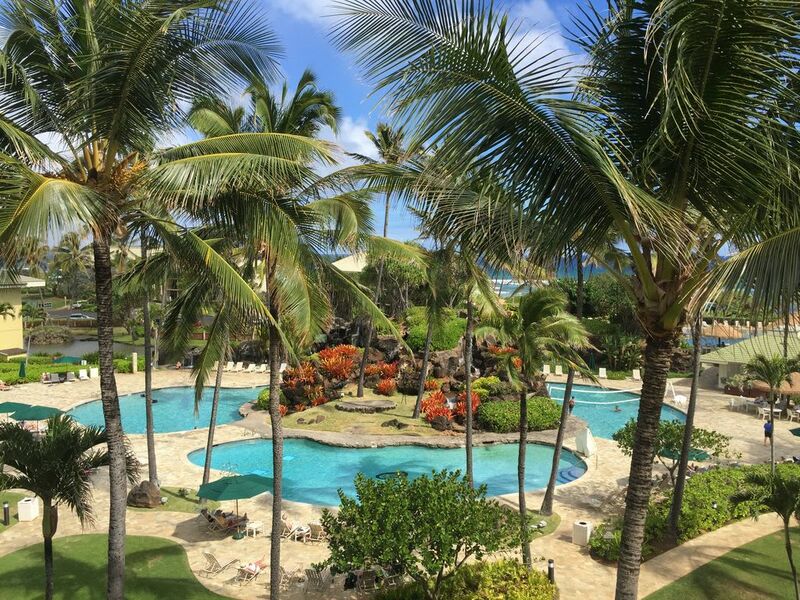 The view from the lanai is a beautiful combination of pool and ocean. 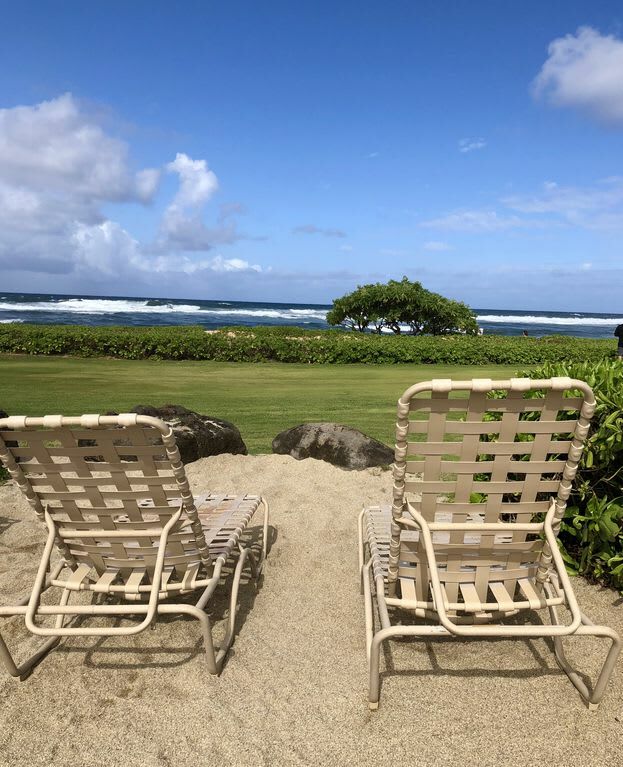 The sidewalk is far enough away from the building to afford you privacy while lounging on the lanai, enjoying the tropical trade wind breezes and listening to the sound of the waves. I liked the easy access to the room, no stairs, simply enter building 4 (closest to the ocean), and enter the first door on your left. I found the King bed very comfortable (nice balance between not too hard/not too soft) with a variety of pillows so I had my preference pick. 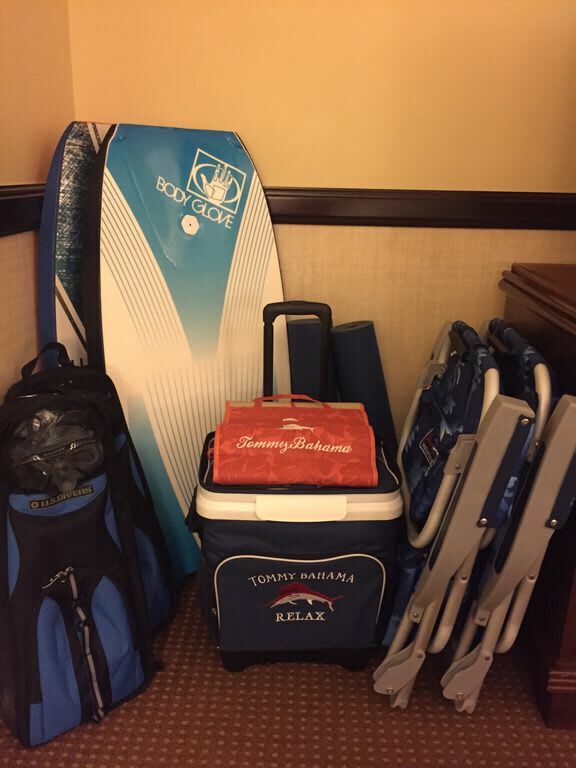 All the extra's Kathy provides - larger fridge, microwave, Keurig coffee maker, beach chairs/mats/towels, cooler, boogie boards, yoga mats, snorkel equipment, selfie stick, water, snacks, DVD's are a big bonus. I enjoyed the luxury of fresh brewed coffee, being able to make my own breakfast and then pack a picnic lunch for my beach walk to Lydgate Park. I was impressed that everything I needed was there for my use, not your "typical hotel room" that's for sure. I was also impressed at how quiet and peaceful the room was at night. The hotel staff was friendly and accommodating to my needs and questions. 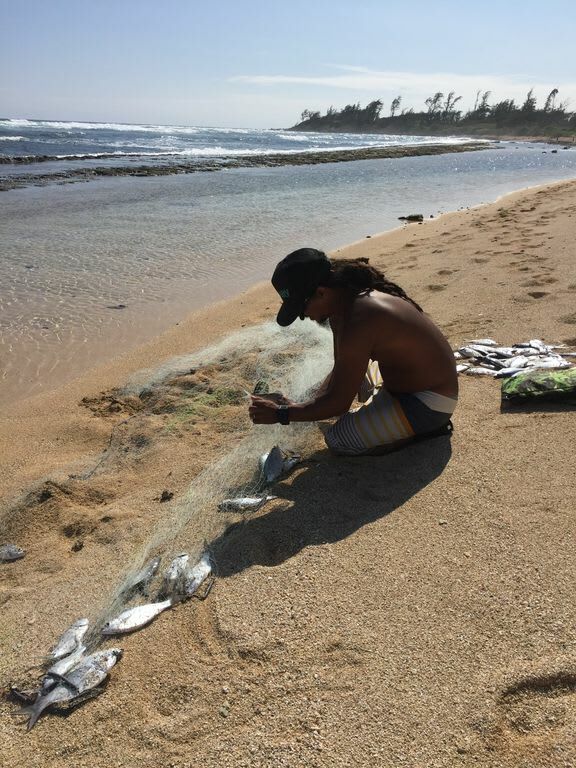 Everyone I encountered exhibited kindness, gentleness, trademarks of the Hawaiian culture. This truly is the island of ALOHA. The Resort grounds were always immaculate. 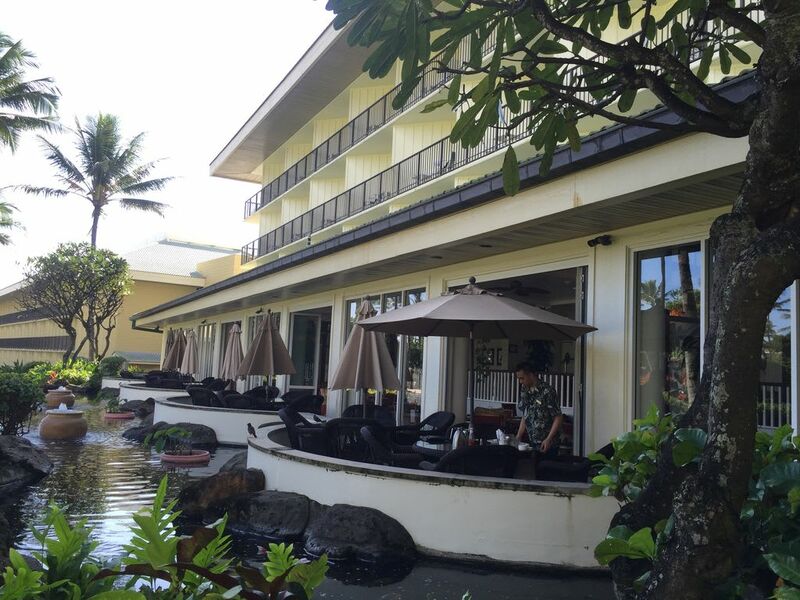 I dined one evening at the Naupaka Terrace, enjoying the outside seating. I definitely give 5 stars for ambiance. The salad bar was fresh and the selection to my liking, a great start to dinner before the "all I could eat pasta" special. Prices were comparable to other superior restaurants on Kauai. 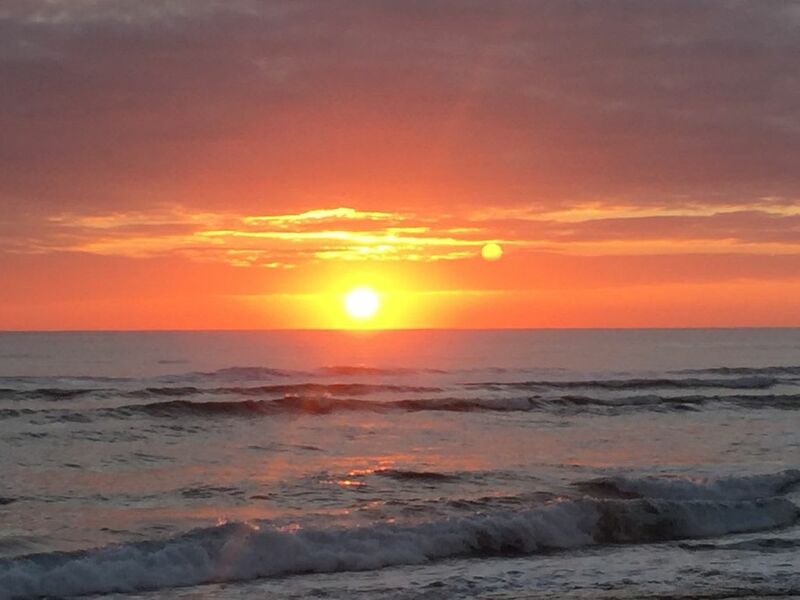 As a morning person, I was up early to walk the beach and take in the glorious sunrises. A 50 yard stroll from my room, coffee cup in hand, to watch Mother Natures spectacular daily morning light & sea show. I'm not a yogi but I sure did notice the expansive "yoga studio" on the oceanfront lawn. I've traveled the world & the comfort, the resort amenities, the beautiful location, rivaled that of hotel rooms costing me upwards of $300/night. This is a deal not to be missed. 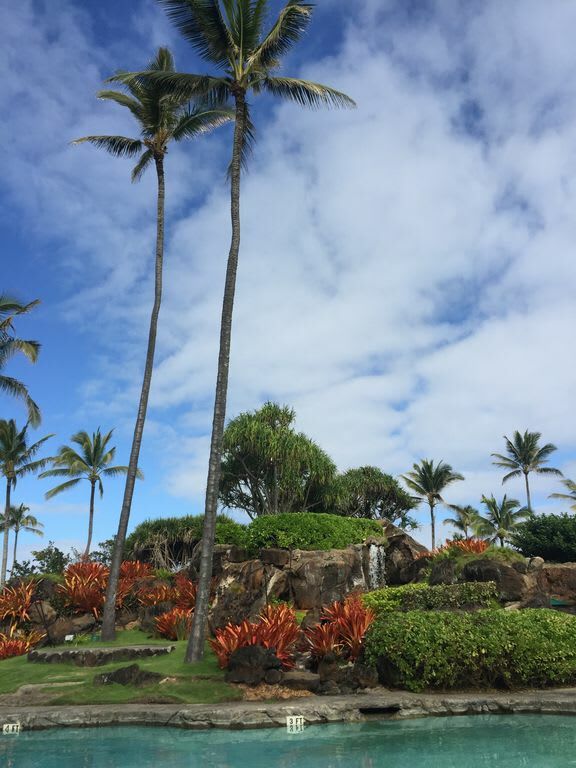 You will love the beauty & spirit of Kauai & of this magnificent Resort. Aloha Dr. Robert W. Buckingham Professor of Epidemiology University of Michigan. I pay your $100 Resort Access Fee!! After February 9, 2017, guests of mine will park for FREE instead of paying $25/day parking fee. IF your stay is 8 nights or longer, I provide a complimentary mid-stay cleaning. I provide garbage bags and directions to the location of the waste receptacle for your convenience. Also pool/beach towels are available free of charge at the pool hut, right outside your door, and towels may be exchanged every day, even multiple times a day, just show your "towel key" provided upon check in. I strongly recommend renting a car, and best deals on island are with Costco (google Costco car rental Kauai). NO PARKING FEES WHEN YOU BOOK WITH ME! Saving you $25/day! I own next door at the Villas and have a guest parking spot you may use.....shorter walk too to your room 3mins vs 5-6 mins from the Resort parking lot. Fitness Center on property, use included in resort fee, use your room key to enter the facility. Absolutely NO SMOKING in the room. There are designated smoking areas located around the resort. I use the Hawaiian Honor System: If you break or lose an item, estimate the value, and leave a note with cash on the table or replace with identical/similar item. My Hawaiian Tax ID is W80320264. The taxes (general excise tax and transient accommodations tax) 14.25% are collected by VRBO/HomeAway. 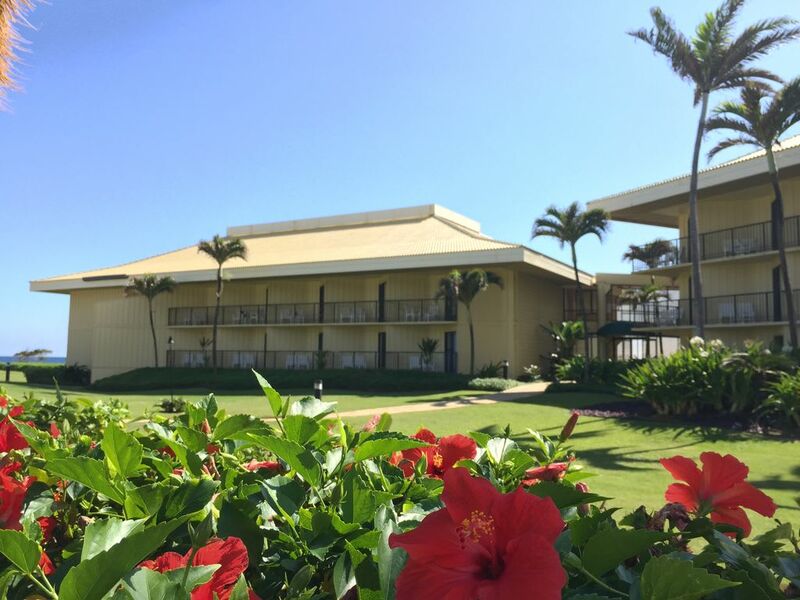 Rooms in building #4 rented directly from Kauai Beach Resort retail for $319/night to $449/night. Plus you are charged $22.95/day "hospitality tax". Definitely a great deal to book directly with a private owner like myself. 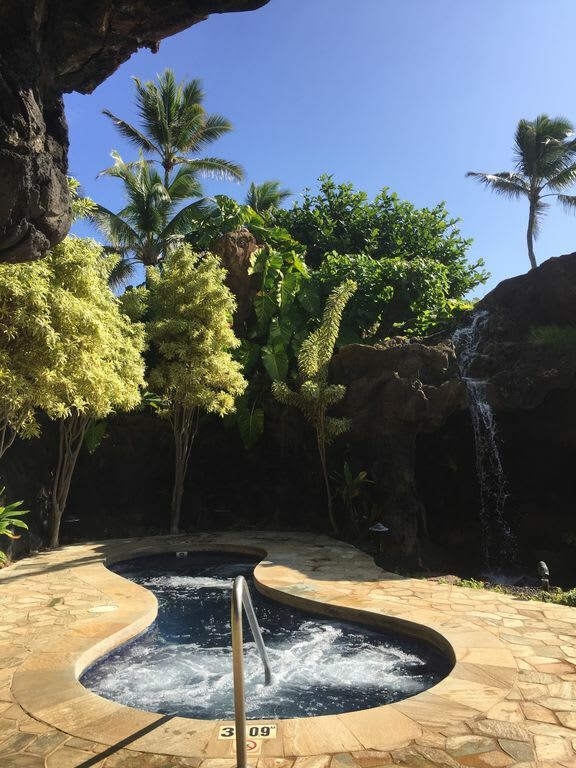 Mahalo for choosing to book with me!